First things first; go and grab yourself a drink, some munchies and get comfortable because this blog is going to be a little long. Have a bonfire party with friends: I love summer, and summer evening with friends, I always have. Summer evening are a great way of relaxing with friends, catching up with everyone and staying warm with bonfires. Dye my hair again: I haven’t dyed my hair in so long, and since it’s summer time I want to dye my hair again. And I am thinking about doing another crazy colour as I haven’t done one in years now! What do you think I should do or can anyone recommend a great summer colour or brand for dyeing my hair? Read a least two books: I have so many books on my reading list, it’s silly. I really more than ever want to catch up on my reading and sitting or sunbathing (remember your sun cream!) in the sun is the best way to catch up on reading and get a tan at the same time. If you would like me to do a blog about what books are on my reading list let me know and I will do so. Make my own melted crayon art picture: This is something I have always wanted to do! I think it’s awesome and colourful, and would be a good person to give to someone too. I love handmade presents. Have you done this? Where did you hang your picture? Grow my rainbow roses: I seen these on amazon and thought they looked so beautiful so bought them for my Nan and myself, and my Grandad is currently growing them in their green house at their home so I know its not me growing them but I do want to have them in my garden because they look so beautiful and I can’t wait to see them all grown and planted properly. You can buy your own rainbow roses to grow yourself for only £3.30 (with free P&P) by clicking here. Have a day out at the beach: I haven’t been to the beach in so many years! I personally hate the beach usually but you'know when you haven’t done something or been somewhere and you feel like going? Well that’s how I feel about the beach right now. Plus our little puppy Daisy hasn’t been to the beach yet so I really want to take her to the beach this summer. The beach I will be visiting this year will most likely be Formby Beach near Liverpool which you can check out by clicking here. - Send a message in a bottle: I plan on doing this when I do go to the beach, and putting a little message, a small note about myself and some of my contact details in it so whoever finds it can get it touch with me and let me know where my bottle ends up. Go to the squirrel park: Another place I haven’t been in about ten years (or more! ), and another place I want to take Daisy. It’s a lovely place to go as a couple, alone, with family or with friends - and it’s a great place to take friendly animals too as well. Sunday’s are best to go in my opinion and if you take a picnic it’s so much better! You can checkout the National Trusts Red Squirrel Park which I am planning to visit by clicking here. Have an afternoon washing Phil’s car: It sounds so silly doesn’t it? But I used to love helping my dad wash his car in the summer when I was younger. If you don’t know already my dad has bought Phil a new car as a late wedding present, and I actually think it’s a really lovely car myself, it’s a four doored fiat punto in a metallic gold colour. We can’t want to have so many times out in it and build so many memories in new places. - Which ends up in having my first water fight: Yes, it’s true - I have never had a wash fight. My mother was always very strict about having water fights when I was younger so I really want to have a water fight this year, probably like twenty years too late! Visit a walk-through aquarium, again: Yet another place I haven’t been to one in years and Phil has never actually been to one before so I really want to take him and show him how amazing it is. The Blue Planet Aquarium in England is amazing to do this at but I don’t feel like there is many things to do there and it is rather expensive. Also, I have been here about five times and never seen an Otter in their enclosure as they are always eating, maybe it’s just the five or so different times of day I’ve been? Oh well. Go to the safari park or the zoo: And yet again, another place I haven’t been to (blame my health for this btw!) in so many years. I haven’t decided which one I want to go to yet, both would be wonderful, but I do plan on going to at least one this summer! I personally think the best Safari Park to go to in the North is Knowsley Safari Park and the best zoo to go to is Chester Zoo. Go mini golfing: Or as people in Liverpool know it, Jumble Rumble. As you can probably tell, I want as many days out as possible! I have never been mini golfing and it looks so fun, I want a little date out at mini golfing and then possible a Yo S ushi date - what do you think Phil, sound good? Have a games night: I haven’t had a games night in such a long time, I think maybe March this year was the last time I had one, and I used to have them at least three times a month! Drinks, munchies, friends, your favourite or new games, and your preferred console (I personally prefer the xbox) - it always is a good night! Spent some time in the sun: I sat every year that I am going to get myself out there in the sun as much as possible, and every year I never do. I adore the sunshine, nothing makes me more happy than waking up to the sun shining on my face of a morning, it just seems to put me in a good mood. Have an awesome birthday! : My birthday is July 31st and I am going to be turning twenty-seven years old - yes really! I know I may look young but I feel so old! 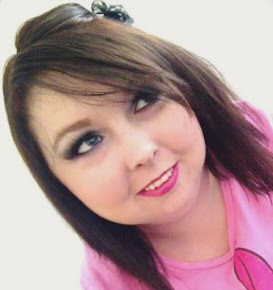 I want to make this birthday count, I want to do something awesome and even if it is just something at home, I want it to be special; I want to have my hair done, and wear a pretty dress (yes I admit I already have one picked out, bought and hanging in my wardrobe haha), and just generally have a good birthday to remember. 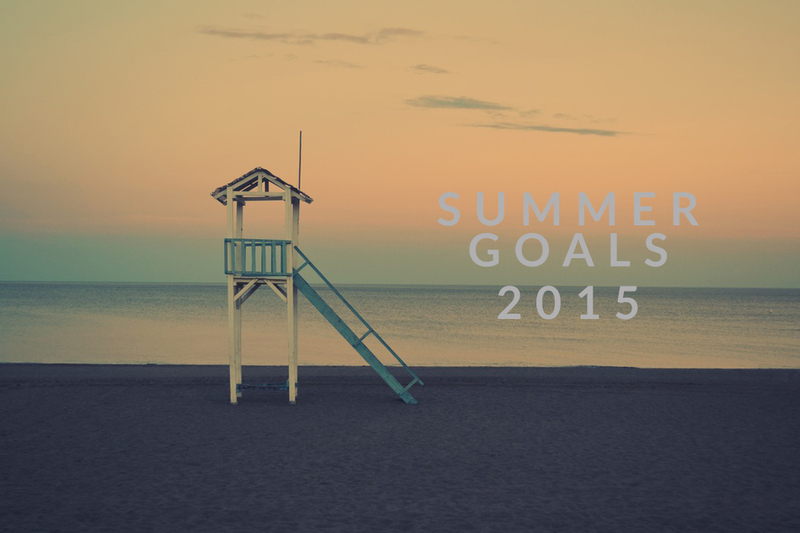 If you are doing a summer goals blog let me know and send me links so I can read them all as I love them! Or if you have ever been to any of the places I am planning to go to this summer again let me know as it would be cool to share stories and maybe we are even going on the same day - how cool would that be? !